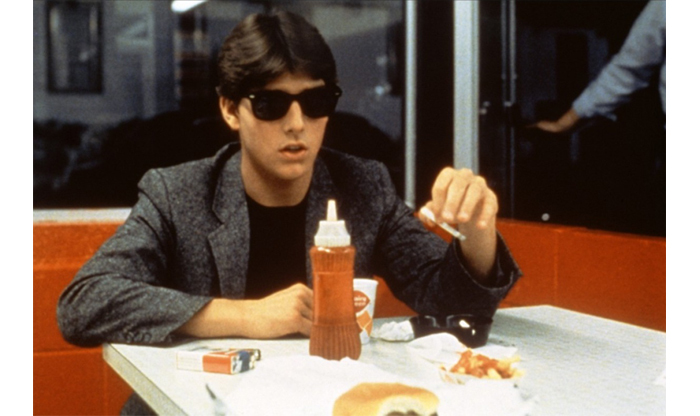 I couldn't believe myself when last week I decided to watch 'Risky Business' for the first time and absolutely loved it. 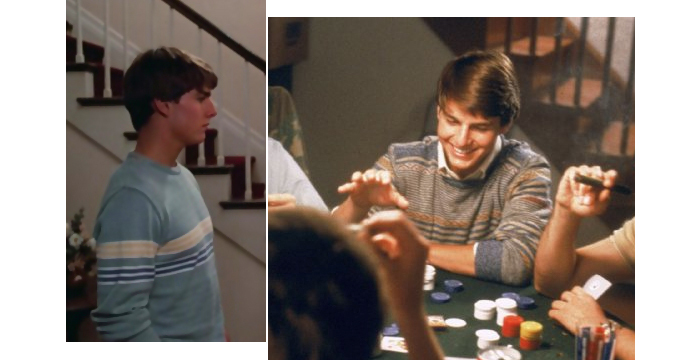 It's not just a great fun coming of age story of kids in the 80's but also a brilliant lesson in style, which seems to perfectly matches with today's offering of menswear fashion. 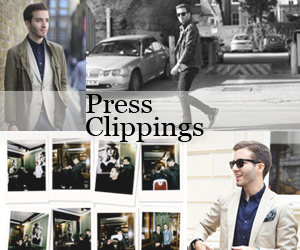 We have transformed 80's basics into contemporary classics we simply can't live without. 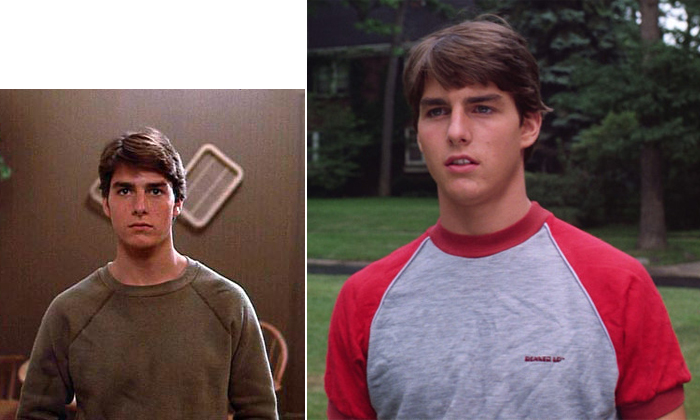 Coinciding with the launch of the Mr Porter Sale this week, I decided to find pieces inspired by 'risky Business' keeping in mind any of these buys should be go-to pieces anytime of the year. 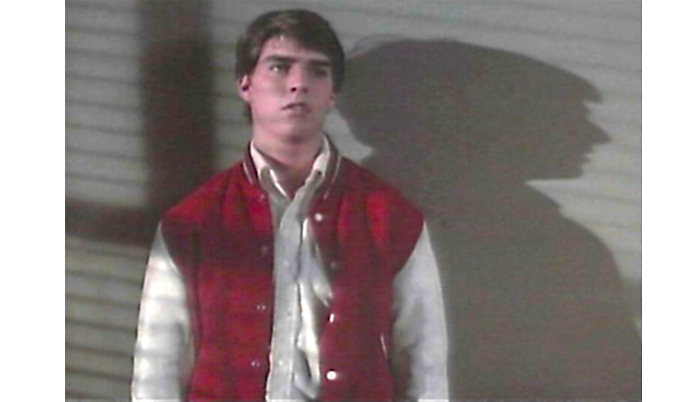 First up, the perfect classic blazer. You might have bought it as a two-piece suit for work or formal occasions but have you thought of cooling it up with a basic tee and sunnies for the weekend? 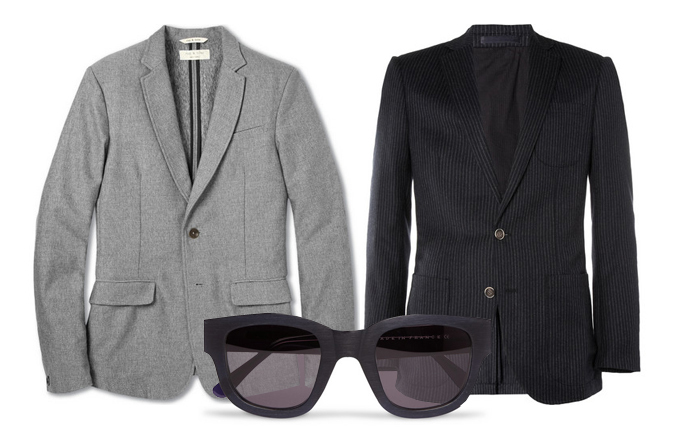 Below: Rag & Bone unstructured cotton blazer, NN.07 chalk-stripe blazer, Acne sunglasses. Raglan-sleeved t-shirts and sweatshirts have made such a comeback any of us have more than a few in our wardrobe. They're perfect for lounging, doing exercise and looking cool and casual at dinner. 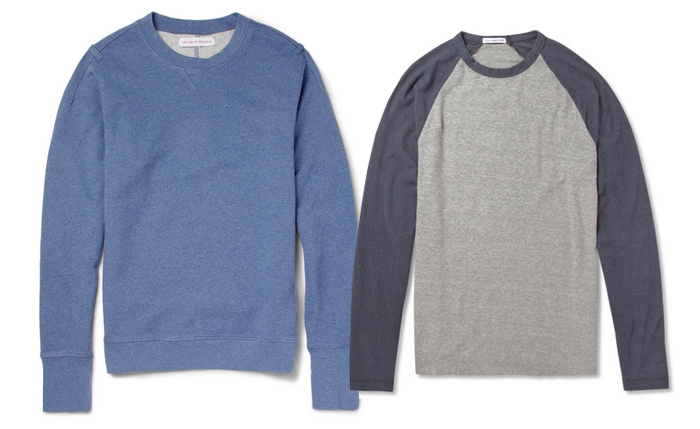 Below: Orlebar Brown sweatshirt, James Perse baseball tee. 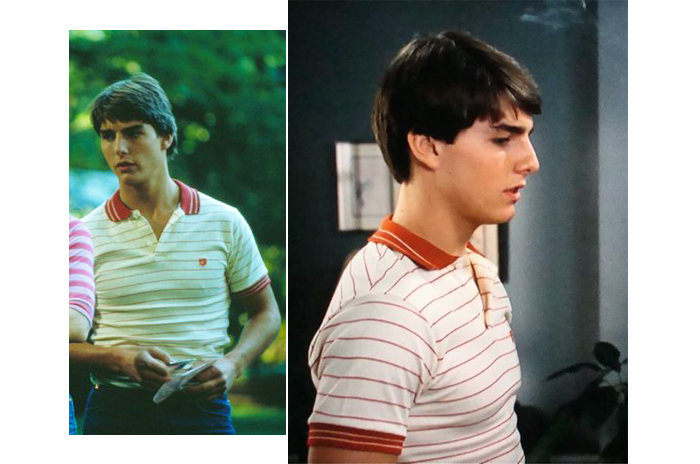 I see such atrocities committed with polo shirts. Most men either go too basic or too crazy. The best option when going for a pattern is to keep it simple and modern with a dash of retro. A slim fit is recommended – if you can pull it off. 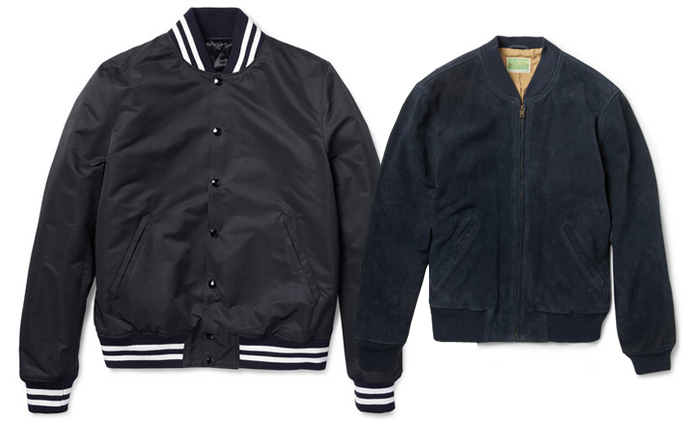 Below: Sandro slim quilted varsity jacket, Levi's Vintage suede bomber jacket. 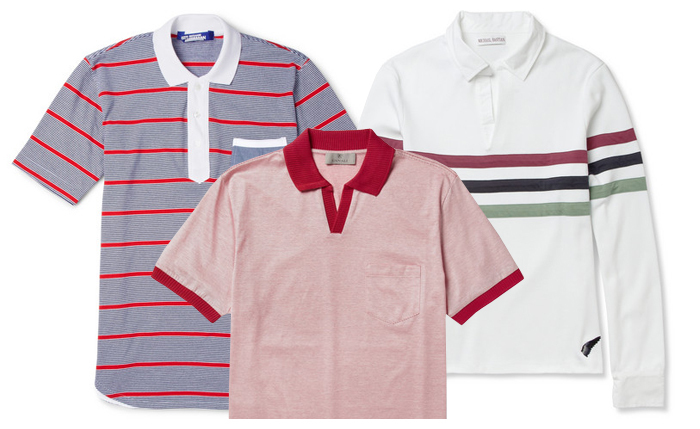 Just like with polo shirts, most men seem to struggle finding nice patterns for jumpers. My rule is to never go for more than 3 strong colours at a time or for too many gimmicks. 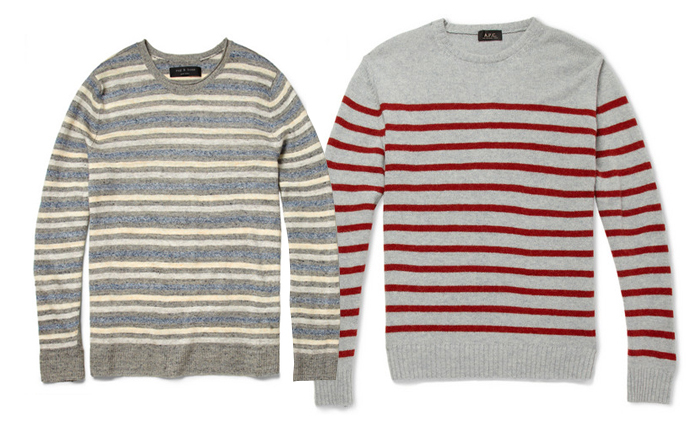 Below: Rag & Bone striped linen-knit jumper, A.P.C. striped jumper.